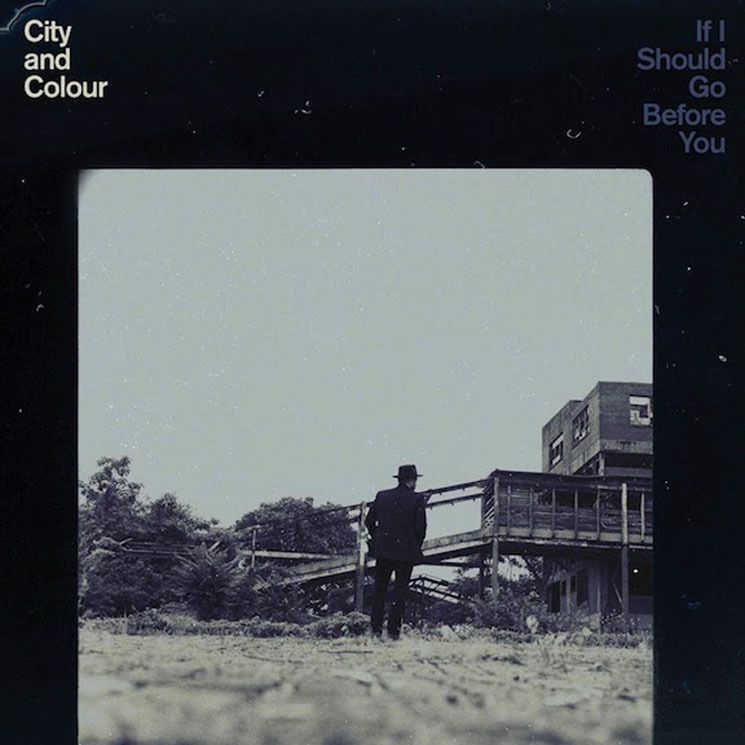 Dallas Green's City and Colour hasn't released an album since 2013's The Hurry and the Harm, but the Canadian singer-songwriter is set to return with a new one this fall. The new album will be titled If I Should Go Before You, and it is slated to arrive on October 9 via Dine Alone. The news comes after City & Colour debuted the sprawling, nine-minute long single "Woman" last week. Now, details of the forthcoming full-length have been fleshed out. The self-produced effort was recorded over a couple of weeks in March at Nashville's Blackbird Studios. Karl "Horse" Bareham performed additional production and engineering duties. It found Green working with City and Colour's live lineup, as opposed to his previous techniques of playing multiple parts and piecing it together or hiring session musicians. It features Jack Lawrence (the Raconteurs, Dead Weather) on bass, Dante Schwebel (Spanish Gold, Dan Auerbach) on guitar, Doug MacGregor (Constantines) on drums, and Matt Kelly on pedal steel and keys. "They inspired me to want to create new music, just to create it with them — I don't think I wrote these songs for the band, per se, but I certainly wrote them because of the band," Green said in a statement. "Anybody who has seen us play will understand that this is the best representation of what we do live that we have ever recorded. I was so excited about being able to make and record an album with these guys that it just flowed. I felt so confident about their abilities to make all of my ideas come true." You can find the full tracklisting for the new record below. Beyond that, watch the lyric video for the album's aforementioned lead single "Woman." That's the cover art above. In addition to his work with City and Colour, Green recently released a collaborative album with pop star P!nk under the moniker You & Me, and will be joining Alexisonfire for a string of reunion dates this summer. You can see City and Colour's upcoming U.S. tour dates over here, though there have yet to be any Canadian stops announced.